This week over at French Fridays with Dorie we are celebrating Dorie’s birthday by baking treats from her soon to be released book, Baking Chez Moi. 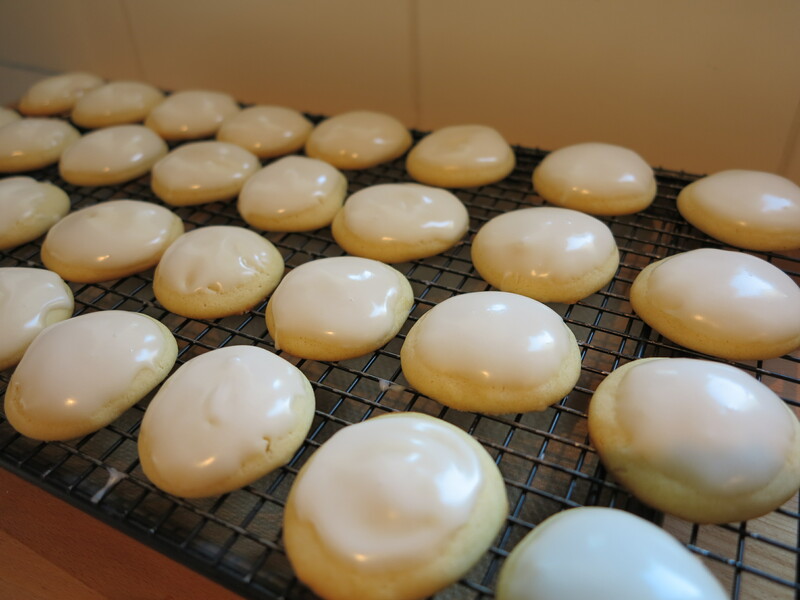 I chose to make the Palet des Dames, Lille Style, because I haven’t made cookies in such an awfully long time and these looked just adorable. So, Happy Birthday Dorie! From one expat to another (at least part time from what I understand), thanks for all the delicious recipes and for being such a good sport. I cannot imagine how it must feel to have a whole group of strangers picking their way through your years of hard work, fussing every time we encounter an unloved ingredient. But in all honesty, I’ve loved this book and thanks to you my cooking skills have improved and my larder is now stocked with pistachio oil, cardamom pods, and puffed pastry. The Palets des Dames were easy and adictive. But I’m not the only one celebrating Dorie’s birthday this week. Check out the below links to see what my fellow Doristas are whipping up. 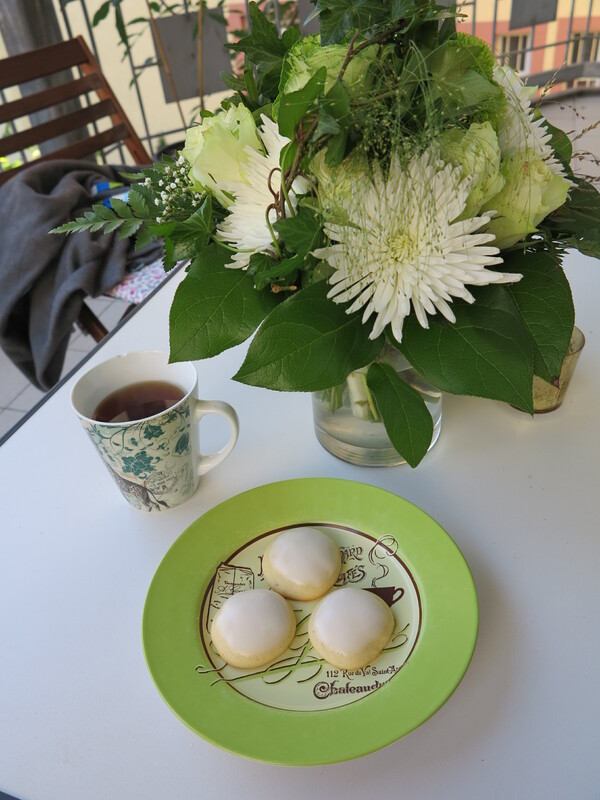 This entry was posted in french fridays with dorie and tagged cookies. Bookmark the permalink. Lovely post and a wonderful last picture, very lovely plate up! Envy you the perfect icing! I never thought about how it must feel to have strangers picking through and opining about your life’s work. Yikes. haha. Loved these cookies over here, too. (and I love your rooster jars). I totally need to make these cookies – they look lovely! And yes, Dorie has been an exceptional sport as folks have worked their way through two books and are about to embark on a third! Beautiful cookies, Rose! And a fabulous tribute to Dorie! I love the charming view from your kitchen window and those very cute canisters! Happy Friday! I hadn’t baked cookies in a while, either, so I decided to do two recipes (I couldn’t pass up the tourte, since there were still BC peaches around when I made it). I love your tribute to Dorie, too. She’s a wonderfully generous person. You are right – these cookies are just adorable! What nice thoughts you shared with us and with Dorie. You’re right about it all but you forgot to add “rosewater” – what to do with it??? Your tea cookies are perfect and just the right size. I made mine a little large, at first. They are such sweet tiny cookies. I will make these again and again. Just delicious and, as we both know, additive. Beautiful looking cookies! I love how bright and fresh your kitchen looks too. Great expression of our gratitude to Dorie for making our kitchens better places and improving our skills! 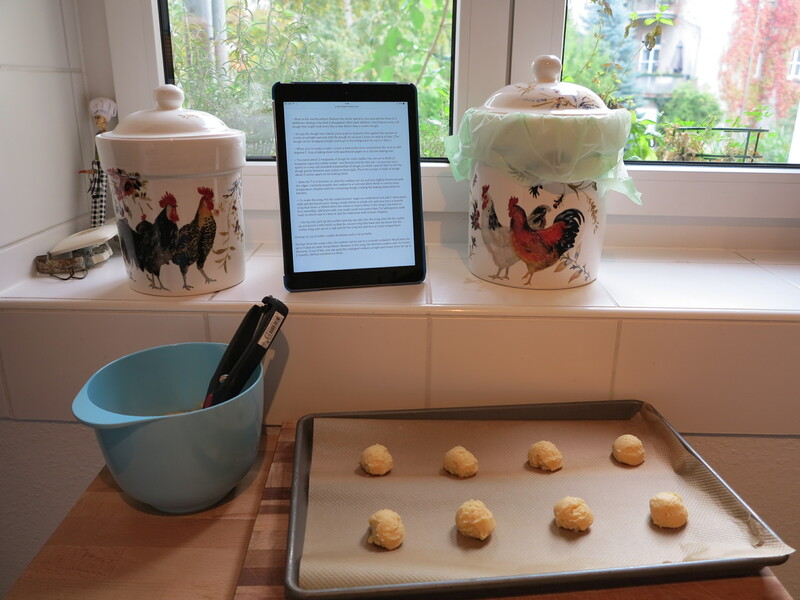 I love your very real photo on how I cook most of these days – tablet or laptop propped in the counter. Very twenty-first century! Thank you for that great retrospective of the last four years, and the experience of growing as a home cook through AMFT. Palets for the win, it seems! I can’t wait to bake my own batch soon. Your cookies look picture perfect Rose! your cookies look so happy and perfect! 🙂 We all have grown to be more bold in the kitchen and sure of ourselves now since the beginning of AMFT I think! What a great thing to be addicted to! I think it will be a lovely addition. Your cookies do look perfect. I couldn’t agree with you more about Around My French Table and all the new techniques. Rose, this is such a lovely post! Everything looks so relaxing and delightful. You are so right about this journey. And I haven’t really thought about how brave one must be to have such a thorough critique of your work (4-1/2 years of many comments every week!! ), I’m sure some days wonderful, others… but it has been wonderful so far. Oh, and I made these too. Loved them. I still have more batter in the freezer. Oh to have time to bake them!! I often wonder what Dorie must think about having her work so picked over – you have to be 1) a good sport and 2) pretty brave to be so exposed.